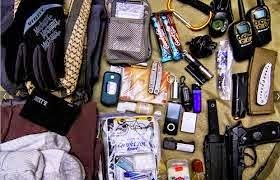 How to pack and keep a "Bug-Out Bag"
A Bug-Out bag's purpose is to allow you to move out at a moments notice--because YOU NEVER KNOW. It is more than a survival kit, and will help you survive while away from home. At our house we call it a B.O.B, and every member of your family should have one. Step 1 Survival Knife Pack all items in you bag, remembering that each member of the family should have one for their own specific needs. 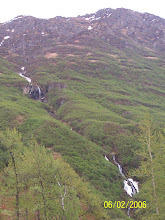 If you have an infant of course you need diapers formula and extra water. These items are essential for your survival. I know my first preference in a emergency situation would be to stay at home. You could live quite comfortably for weeks at home even if the power were cut off. You probably have plenty of food, beverages, blankets, and such around the house. If not, now is the time to get them. That said, sometimes staying home is not an option. feminine hygiene products and toilet paper. So pack them now. Pack food that has a long shelf life, is high in protein, fat and calories, such as dehydrated food, and meal packs that are easy to pack in a suitcase. Step 3 After you have assembled your bag, keep it handy and ready to go. You probably already have most of these items around your house, but when time is an issue, you want to have these items in a central location so you're not running around at the last minute, lowering your chances of survival and escape. This is where your B.O.B comes in. Step 4 You will have to rotate the contents of your B.O.B often so nothing goes bad. The government may not be able or may not want to help you in an emergency situation. The real threat of government seizure of firearms is also very real. No matter what your opinion of guns are, I doubt your B.O.B would remain in your possession for very long without a means to defend it.